to treat her with the greatest respect! in the category “GRI first report”. More proof of ongoing efforts by the Gasteiner mineral water company in terms of sustainability! avoiding transport and reducing CO2 emissions. You can enjoy our products with a clear conscience. As we know just how important and valuable the preservation of natural resources is, we cultivate a sustainable approach to the environment. Which is also the reason for the choice of the can. 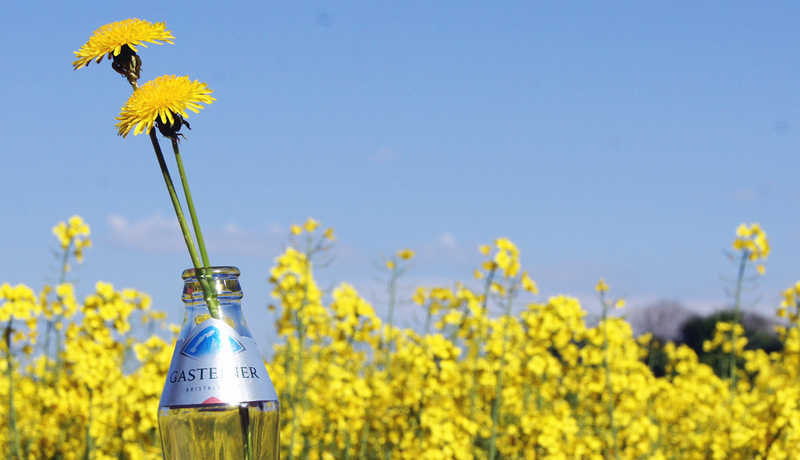 Thus, Gasteiner remains true to its real nature: to guarantee unique, natural refreshment, always and everywhere, in harmony with our understanding of sustainability. Besides many other benefits, cans are 100% recyclable without any loss of quality, saving 95% energy compared to a can produced from scratch.